In the years following the genocide, St. Illuminator’s Armenian Apostolic Cathedral beckoned like a bright beacon of hope for a generation of survivors. After they landed on Ellis Island they quickly found their way to this modest church on a bustling street in the shadow of the “EL” where they searched for family members, village neighbors, and the anchor for a new life. 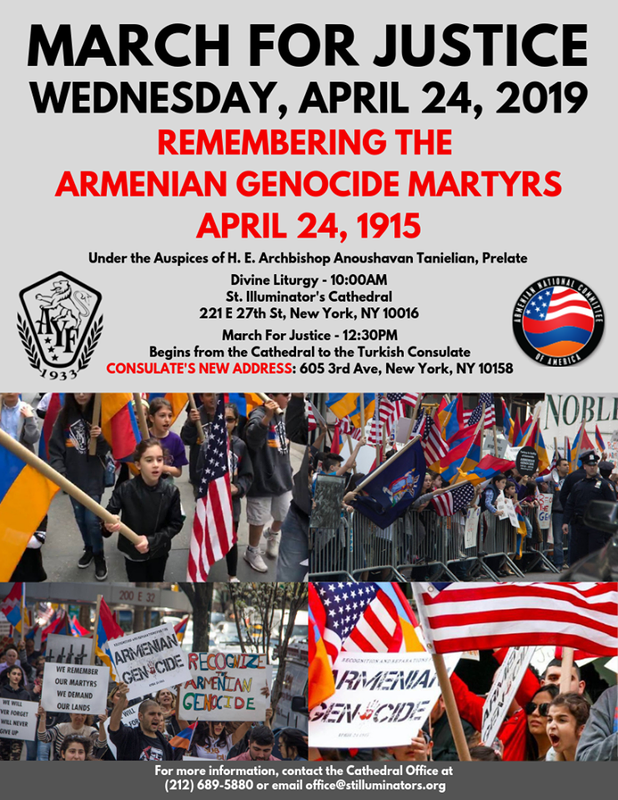 In 1914, St. Illuminator’s members began to collect funds to purchase the church and its furnishings from the Methodists; six years later it came into Armenian ownership. In April 1921, St. Illuminator’s, at 221 East 27th Street, was consecrated as a cathedral. It, and the building next door, were ours. A new “homeland” at last! We are proud to have Reverend Father Lakissian, Der Mesrob, as our spiritual leader at St. Illuminator’s. His commitment to God, church and family are reflected in the tireless work he performs for the parish. That said, the commitment shared by his family, and mainly our Yeretskin, is most evident at the Cathedral. 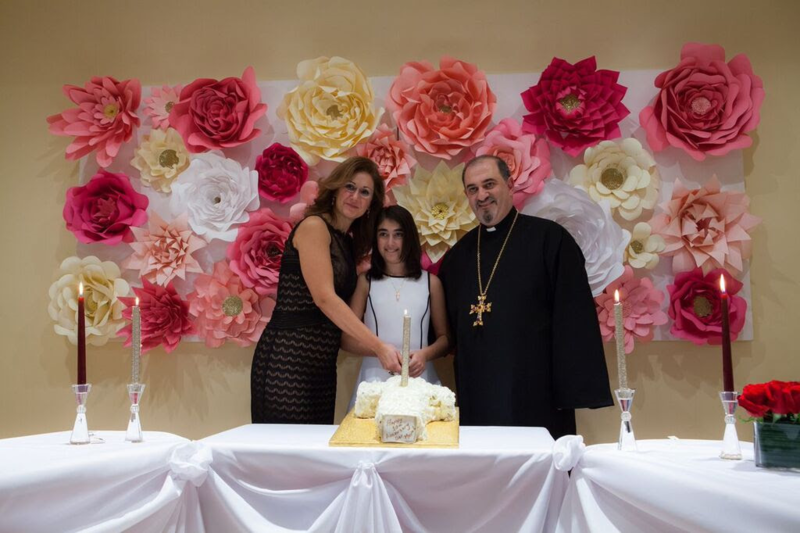 In 2015 we celebrated Reverend Father Lakissian’s 10th anniversary of his ordination and service to St. Illuminator’s Cathedral. We pray for Der Mesrob’s continued leadership and guidance for many more years to come as our Cathedral’s pastor. Der Mesrob was ordained to the priesthood on November 20, 2005. Gregory is revered as the patron saint of the Armenian Church. He is recognized and memorialized in both eastern and western hierarchical churches. The Roman Catholic Church, Orthodox Churches, and Oriental Orthodox Churches, have special days in their calendars for the veneration of St. Gregory, who is considered to be one of the Fathers of the early Christian church. Gregory was condemned to the pit in 287 AD by King Trdat and the persecution of Christians began. After the martyrdom of a group of nuns who came to Armenia from Rome led by Hripsime and Gayane, Trdat was stricken with strange maladies. His sister, Khosrovidukht, had a dream that Gregory was the only person who could heal her brother. Miraculously, Gregory was still alive after many years in the pit, thanks to an angelic woman who lowered food and water into the pit. Gregory emerged from the pit. The king was healed and baptized, and he declared Christianity to be the official religion of Armenia. Gregory was not the first to preach Christianity in Armenia; that distinction belongs to the apostles Thaddeus and Bartholomew who came to Armenia in the first century, and thus gave us the apostolic designation. 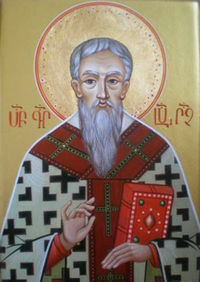 Nevertheless, Gregory is revered in the Armenian Church and is considered by Armenians to be the father of their faith. Hundreds of churches have been built in his name. “The ancient calendars of the still undivided Church celebrated him [Gregory] on the same day in both the East and the West as a tireless apostle of truth and holiness. The father in faith of the whole Armenian people, St. Gregory still intercedes from heaven today, so that all the children of your great nation may at last gather round the one table prepared by Christ, the divine Shepherd of the one flock.” Pope John Paul II, in his “Apostolic Letter for the 1,700th Anniversary of the Baptism of the Armenian People,” issued February 2, 2001. Join our mailing list to receive Saint Illuminator’s Newsletter in your inbox!